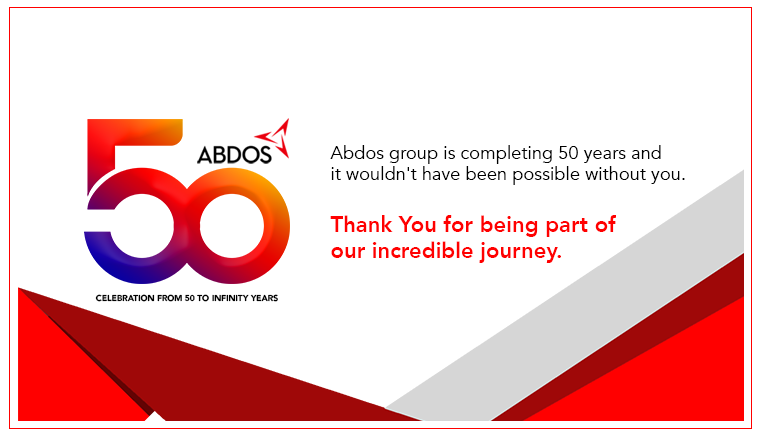 Plastic laboratory division of Abdos began its operations in 2009 with a vision to become a well-known global brand. The manufacturing facility is located at Roorkee, Uttarakhand about 4 hours from India capital New Delhi. The manufacturing infrastructure comprises of highly precise, reliable and fast moulds and machines that produces consistently high quality products. Only pre-selected and specialized medical grade USP class VI certified raw material is used in the production process. It is our endeavor that the customers not only receive quality products but also the very best in customer support and after sales service. We are an ISO 9001:2008 & ISO13485 certified company and CE marked. We are one of the select manufacturer from India that has IVD certification on certain products and are also represented by registered EU company as its EC REP in Europe a testimony for the quality and services served to our end customers. Our quality control department follows intense quality control checks on each product ensuring our end customers operation run seamlessly. They conduct periodic reviews to ensure our plant and maintenance system run effectively, efficiently and consistently. We are constantly upgrading our manufacturing and quality infrastructure by adding moulds, machines, clean room and robotic platforms. Our in-house research and development team are well equipped with all testing and development infrastructure to develop products that will perform well in every life science laboratory and fulfill the customers needs. Together with quality we ensure quick service to our distributors and end customers by servicing them from our central warehouse at Roorkee, India. At our warehouse we currently stock over 1500 products in substantial quantity to fulfill orders at the least possible time. We believe a quality product is of no use if not delivered in time to the end customer. Our products are marketed through Srade Shows, Digital Media, Distributors, Catalog and Brochures. Scientific research relies heavily on the right kind of laboratory plastic wares. An error in choosing plastic labware can result in faulty outcomes. Therefore, Abdos brings out laboratory plastic wares that undergo rigorous quality evaluations and utilize only the finest virgin raw materials. Our broad range of Centrifuge Ware is employed in a variety of centrifugation methods and assay investigations in laboratories. The products act as consumable items in the laboratories besides having distinctive characteristics that demonstrate their fine quality. The moulding of these products is obtained from unadulterated and virgin resins that yield low extractability and leaching on being used. Abdos Labtech produces its Liquid Handling Consumables range of commodities using accurate instruments that lend them longevity and a repeat value that is necessary for laboratory usage. Manufactured in a clean room environment they are uncontaminated by RNase, DNase and Pryogen. Since they aid to conduct outcomes that minimize defects, these products are taken as laboraty consumables of a superior class. Our wide collection of Cryo Vials helps in the storage of cells, plasma, blood, serum and other biological sample under sub-zero temperatures that can go down to -196° C. Moreover, the entire span of our Cryo Racks and Boxes are employed for storing samples in mechanical and deep freezer conditions. The moulding of these products is obtained from unadulterated and virgin resins that yield low extractability and leaching on being used. The labware of the PCR class are made through a co-ordination of a particular type of resin, exact dimension measurements and fixed computation. PCR experiments require sustained research and scrutiny in a steady environment where the experiments can be repeated to gain precise outcomes. Our range of PCR lab wares consisting of tubes, strips, plates and sealing films fulfil these conditions. As the name suggests, we manufacture an exhaustive inventory of general laboratory products to conduct the standard experiments in a research laboratory. The products are conceived and assembled employing uncontaminated and specialized resins at our moulding units. With our focus on quality at Abdos Labtech, we not only assure but certify the precision of our volumetric items which instils the faith of our researchers in our lab wares. Measuring Cylinders Tall Shape, PP Class "B"
Measuring Cylinders Tall Shape, TPX Class "B"
Measuring Cylinders Tall Shape, TPX Class "A"
These multipurpose racks & boxes are made under various designs and conditions that consider the wide spectrum of necessities of a researcher. Therefore this range of products is put to different uses across several laboratories. The prime application of these racks is for the storage and organization of tubes and plates of different sizes and shapes. The broad spectrum of our microscopy products is manufactured with the aim of helping laboratory workers to stain, store and move microscope slides of different sizes. The original design of the products will adapt to different kinds of laboratory settings. The finest quality is attained in the products with the help of specialized resins such as PP, HIPS, ABS and Acetal. Organizers are all such products that streamline your scientific investigation into a structured and efficient setting. They make for ideal storage spaces for chemical substances, tubes, vials and pipette tips, as they are highly functional and usable. Our range of organizers ensures that the research practice is hygienic and keeps the work space from getting untidy. For the smooth execution of scientific experimentation in laboratories Abdos Labtech offers a wide array of equipments. With the whole collection of our equipments researchers find their work becoming a orderly method. Especially the mixers and shakers that feature in this collection of equipments are numerously employed to different shaking functions that are accompanied with optional adapters. The Utilities products of plastic lab wares include the basic functional aspects that are needed in a laboratory setting and also act as safety measures. This range of products ensures the hygienic environment of the laboratory which also eases up the execution of research operations. Utility products like masks, goggles, gloves and shields ensure safety from toxic chemicals while wipers and disposable bags keep the shelves and desks free of dirt. Since the plastic lab wares at Abdos Labtech are conceived keeping a wide specification of consumers in view, they can cater to every type of laboratory globally.